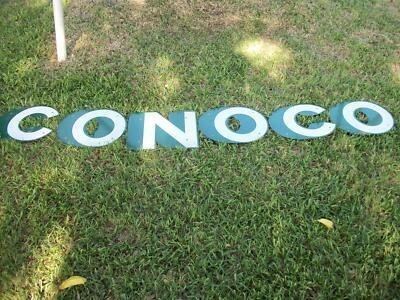 These individual letters make up a sign that reads “Conoco” in light blue and white letters. The letters are actually white, but the sign includes a drop shadow that is light blue. These would be hung individually at a gas station or shop.